Welcome to the Penwood Landscapes website. 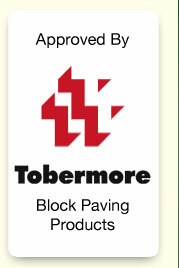 Being a Tobermore approved contractor means working to a strict code of practice & offering the Tobermore 25 year guarantee for domestic block paving products. For a Personal Service & Free Written Quotation please contact us. How do you compliment brilliance, courtesy, thoughtfulness and exceptional workmanship! Throughout the installation of our permeable driveway, parking area and wall construction, Phil and his colleagues worked to such high standards. They discussed and explained every step of the process, nothing was too much trouble with any amendments or adaptations dealt with promptly and efficiently throughout the installation. We have no hesitation in recommending Penwood Landscapes to anyone who is considering similar works. If you want the best then don’t waste your time looking elsewhere! We asked Penwood Landscapes to quote for our driveway and front garden having seen their work in our area and the testimonials on their website. We were looking to transform our front garden & driveway and contacted Penwood Landscapes after seeing their previous work. Phil offered great advice & ideas and completed the job with expert workmanship. His team were very helpful, courteous & clean workers, leaving our home tidy each evening. We are delighted with the end result and would have no hesitation to recommend Penwood Landscapes. Following a recommendation in 2015, Penwood Landscapes undertook what was always going to be a difficult project; transforming our back garden which was quite steep and had become unmanageable. Phil's involvement and eye for detail helped us create a garden that exceeded our expectations, helping with the choice of paving slabs, stone etc, and showing us his previous projects to give us ideas and show realistic examples. Phil and the team were always considerate of their working environment and were reliable, punctual and courteous. We were so pleased that we asked them to work on our front garden in 2016. We would like to take this opportunity to thank you for the paving work carried out by your company which was done in a professional manner by true craftsmen. Your team were friendly, helpful, adaptable and always left the site safe & tidy. We are very pleased with the results and have no reservations about recommending you to others in the future. 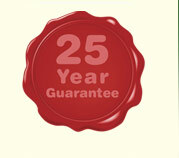 Phil offers expert workmanship and his service is second to none. He went far beyond the remit set when we developed a BT cable fault. When BT had finished their work Phil returned to relay an area of drive at no extra cost to us. His standard of work is excellent, his customer care is faultless. He has been punctual, helpful and courteous, in a short. We will gladly recommend him to anyone who needs a new drive. Several people have already given us feedback that makes us proud to have enhanced our property value! Many Thanks for the lovely patio and beautiful driveway we have now. We are both very pleased and happy with all the hard work you have put in to these projects. Also all the patience you have shown me and the time spent with both of us. Its been a pleasure to have you and the lads here over the last eight months. Hope lots of work comes your way but not too much rain! Penwood Landscapes have done an excellent job in transforming my drive into a usable work of art. We had 3 quotes for the work that we required but Penwood was the only quote that itemised all the work. They were always on time, courteous and hard working.. We are absolutely delighted with the finished result.